Store bought cleaning products are not only expensive but harmful to ones health. There are some that, unfortunately, get the job done much better than a natural alternative, so I do end up caving. But for general cleaning tasks baking soda and white vinegar are the way to go. White vinegar is a natural disinfectant that has way more uses than just for cleaning. And baking soda cuts grease and works as an abrasive. Put the two together and relive you childhood-volcano-making days. I must stress how inexpensive it is to clean without buying brand name products. I have 3 best friends all living together. They are boys, go to college and don’t have money. I tell them all the time it’ll cost them a total of about $4, hold off on a beer and buy some cleaning supplies, but I think they just don’t want to clean. But anyway, whether you are young, or old, or know someone strapped for cash, encourage them to try cleaning old school style. 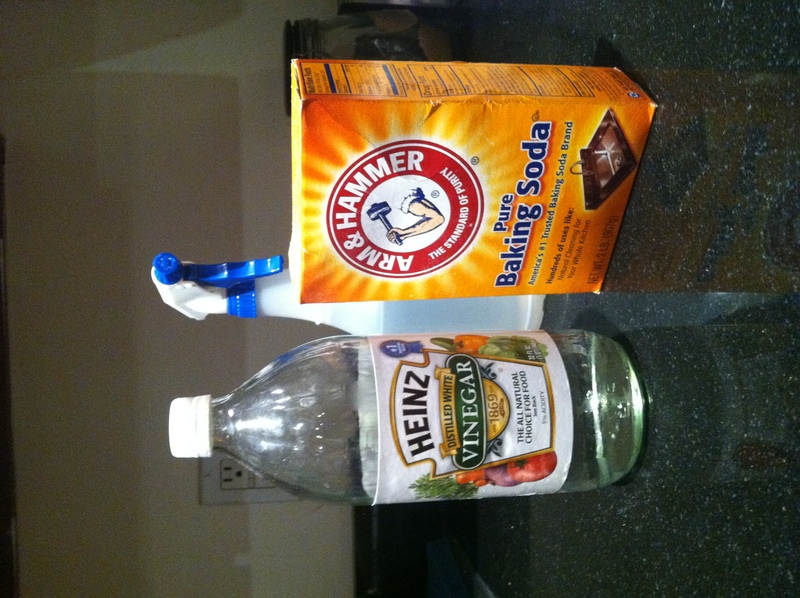 There are many more ways to use both white vinegar and baking soda other than for cleaning. Search around and see what you find, but for now I leave you with this. Happy cleaning!